I’m Sharon Brizinov, a 17 years old student. I have many years of development experience, and recently I got into the iOS field. Few weeks ago my little sister had a math test and she was needed to memorize all the geometrical 2D shapes and she came to me for help. 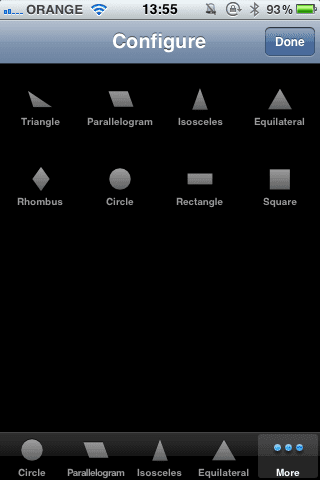 Then I realized there are many more young students who also need to memorize the geometrical 2D shapes, hence I decided to develop this education iphone app. Geometry 2D app has all the basic 2D shapes. with beautiful hand-drawing shapes, and with all the relavent theorems, you will never forget the Geometry!. 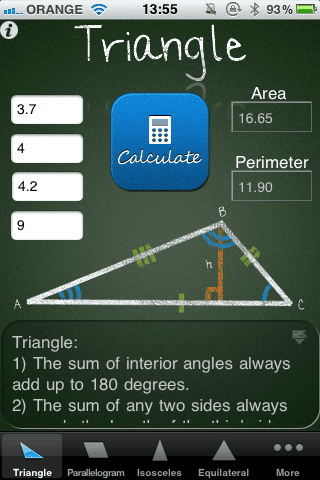 In addition you can calculate the area and perimeter for each shape! My Geometry 2D application is unique since it has all the relevant thermos and also the drawn shape and its properties and with a click of a button you can send all of this info to your mail! these way the student would never forget it. 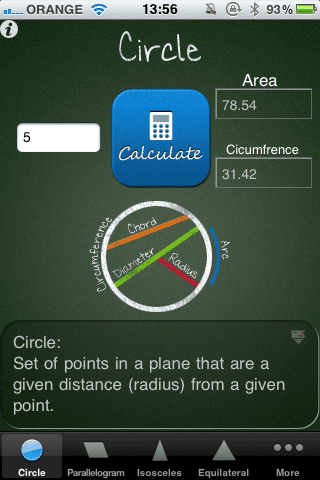 Other ipod touch apps are just a calculator for area or perimeter, which my app includes too. I have already updated this Geometry 2D App for iPhone twice due to users requests, and I’m working on a third update for this Geometry 2D App for iPhone. 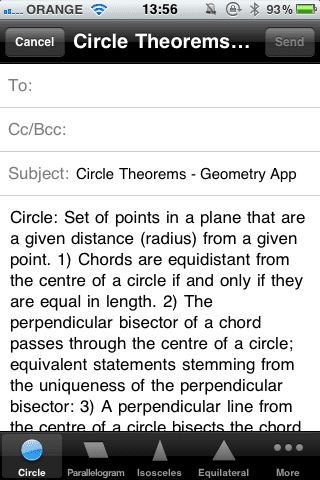 If you have any requests please send me an email through the Geometry 2D App for iPhone and I will add it in the next version. 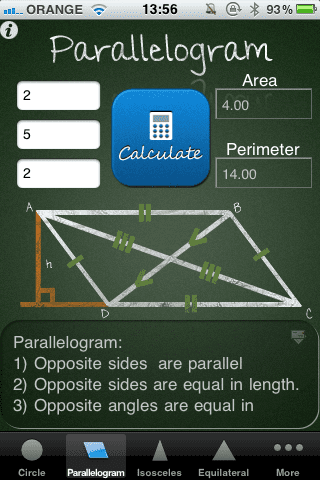 You could get this Geometry 2D App for ipod touch, ipad, and iphone for only $0.99 in itunes apps store here.